Executed by the undersigned for the purpose of forming a Wisconsin corporation under Chapter 181 of the Wisconsin Statutes, WITHOUT STOCK AND NOT FOR PROFIT. ARTICLE 1. 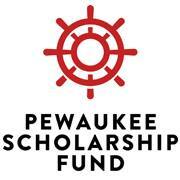 The name of the corporation shall be Pewaukee High School Education Fund, Inc. ARTICLE 3. The purpose shall be: The corporation is organized and shall be operated exclusively for charitable and educational purposes, and it is authorized to accept, hold, administer, invest and disburse for charitable and educational purposes such funds as may from time to time be given unto it by any person, persons or corporations, to receive gifts and make financial and other types of contributions and assistance to charitable and educational organizations, and in general to do all things that may appear necessary and useful in accomplishing the purpose herein above set out. All of the assets and earnings shall be used exclusively for the purposes hereinabove set out, including the payment of expenses incidental there to; and no part of the net earnings shall inure the benefit of any individual member of the corporation and no substantial part of this activity shall be for the carrying on of propaganda, or otherwise attempting to influence legislation. In event of dissolution, all of the remaining assets of the corporation shall be distributed only for charitable, benevolent and educational purposes. ARTICLE 7. The number of directors may be fixed by bylaws but shall not be less than three. ARTICLE 8. The number of directors constituting the initial board shall be five. The designation of the classes, qualifications, rights, and method of acceptance of members of each class shall be set forth in bylaws. ARTICLE 11. (Other provisions) None. Clayton A. Cramer 707 N. Barstow, Waukesha, Wis. ARTICLE 13. These activities may be amended in the manner authorized by law at the time of amendment. Personally came before me this day of A.D. the above named ______________to me known to be the person—who executed the foregoing instruments and acknowledged the same. OF PEWAUKEE HIGH SCHOOL EDUCATION FUND, INC. ARTICLE THIRD: The purpose of the corporation shall be to solicit and receive funds by gift, devise, or bequest for the establishment and payment of scholarships to graduate students of Pewaukee High School, and it is authorized to accept, hold, administer, invest and disperse funds for such purposes as may time to time be given to it by any person, firm, or corporation, or received it by devise or bequest, and to have and exercise all other powers authorized by the law of the State of Wisconsin as set forth in Chapter 181 of the Wisconsin Statutes. All of the assets and earnings shall be used exclusively for the purposes hereinabove set forth, including payment of expense incident thereto. In the event of dissolution of the corporation for any cause whatsoever, all property owned by the corporation either real, personal, or mixed, shall be sold by the Board of Directors upon such terms and conditions as the Board of Directors may determine. The proceeds of such sale shall be sold by the Board of Directors to the School Board of Joint School District No. 1 of the Town and the Village of Pewaukee, Waukesha County, Wisconsin to be disbursed by such board as it sees fit, to assist in the payment of costs and expenses incurred or to be incurred by any graduate of Pewaukee High School in connection with the obtaining of the higher education; all cash on hand and other property of the organization shall be liquidated by the Board of Directors, and distributed by them in the same manner as herein provided; any outstanding debts or liabilities of the corporation shall first be paid before distribution of the assets of the corporation shall receive any proceeds from the sale or liquidation of any of the assets of the corporation in the event of dissolution thereof. And we do further certify that all of the members of said corporation were personally in attendance at said meeting and that all members of the corporation voted in favor of said Resolution and none voted against it. That the foregoing copy of such Resolution and Amendment to said Articles of Incorporation is a full, true, and correct copy of the original thereof. Mary Jean McKerrow , Secretary have hereunto set our hands at Pewaukee, Wisconsin this 17th day of July, 1967. Executed in duplicate this 17th day of July, 1967. The corporation has no corporate seal. Personally came before me this 17th day of July, 1967 the above named Joseph E. Ryan , President Mary Jean McKerrow , Secretary of Pewaukee High School Education Fund Inc., to me known to be the persons who executed the foregoing instrument and acknowledged the same.